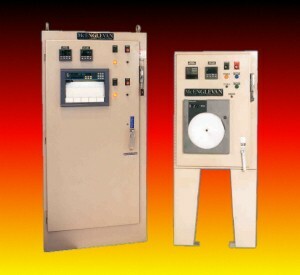 Our standard control instrument provides proportioning control to maintain a preset operating temperature. It features a bright, dedicated display and is pre-programmed and thoroughly tested at MIFCO before the furnace ever leaves the factory. This insures that when you receive your new furnace, operation will be reliable and very easy to learn. The next level of control available on MIFCO heat treat furnaces are set-point programmable controllers. These controllers allow the user to enter up to a 24 segment program to automate the heat treat process. Easy to program and operate, the user designed programs can quickly be changed to accommodate different heat treating processes. There are many types of programmable controllers available, please ask one of our sales people for further details. Created to satisfy industry’s demand for increasingly precise and accurate records, the DR4500 Truline represents a quantum leap forward in circular chart recorder technology. 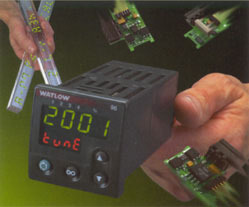 This unique recorder is ideally suited for applications in food, water and waste water treatment, pharmaceuticals, environmental testing and metal working-wherever process variables must be documented on a single chart and retained to meet industry requirements. The 4500 requires only one kind of chart, since it writes the chart as it records; according to the parameters that you specify. 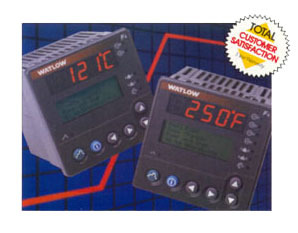 Control instruments, with the exception of chart recorders are normally flush mounted in the control panels of the furnaces. The instruments and controls are pre-wired and include all switches, leads and relays. Separate control panels, with space for two instruments or a single recording instrument can be furnished as optional equipment. Because of the size of the instrument, recorders can only be installed in a separate control panel. Standard panels are NEMA 1 rated enclosures for wall mount or free standing. 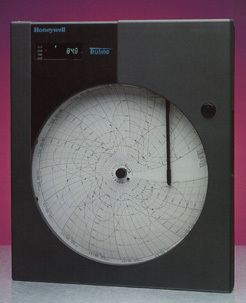 The control panel shown is a NEMA 1 rated free standing enclosure with a chart recorder.